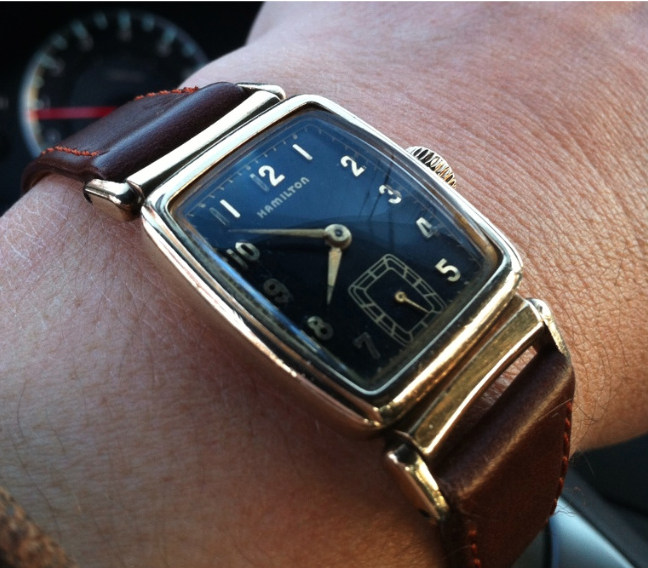 The Hamilton Milton was introduced in 1948 along with an abundance of new post-war models. 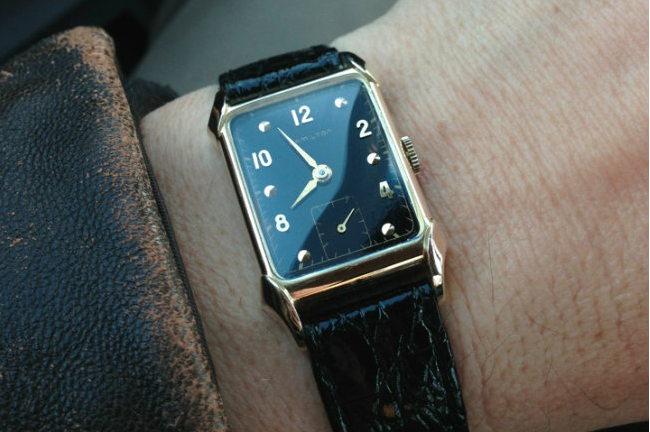 It's a great example of a stylish dress watch. It was made for five years and produced through 1952. 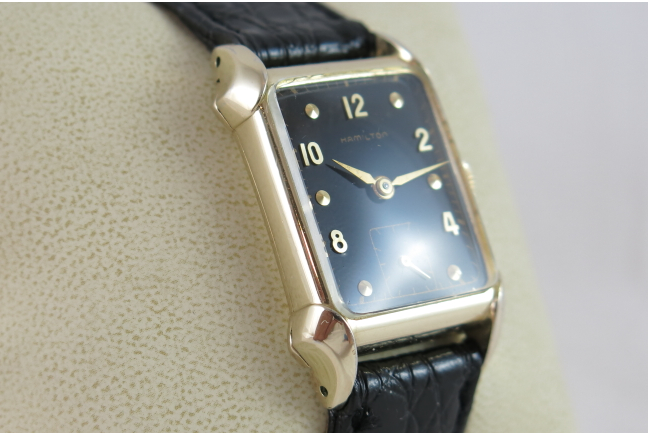 The Milton utilized the 14/0 sized, 19 jewel 982 movement and came in a 14K gold filled case. 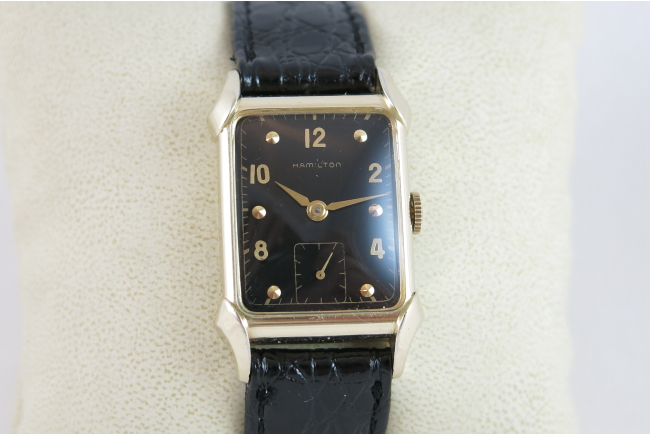 The dial has solid 18K gold numerals and dots on a silver dial. I should have known immediately that it was a Franken, as the minute track doesn't really fit the bezel opening very well. But Black dialed Brandon's are uncommon so I thought maybe I got lucky. 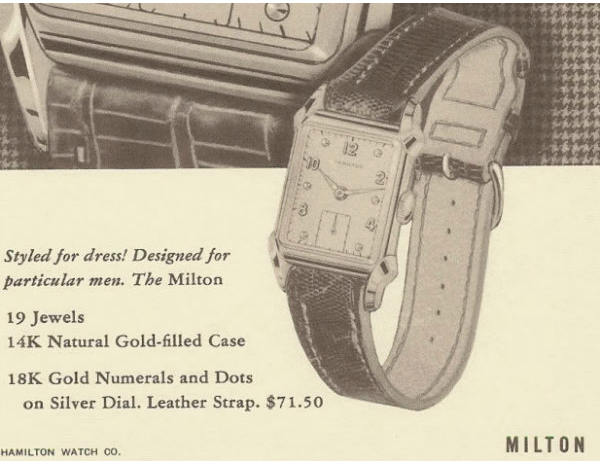 A little exploration of dial patterns revealed it was a Milton dial. Fortunately I didn't pay very much for it and I could use it for a spare movement anyway. 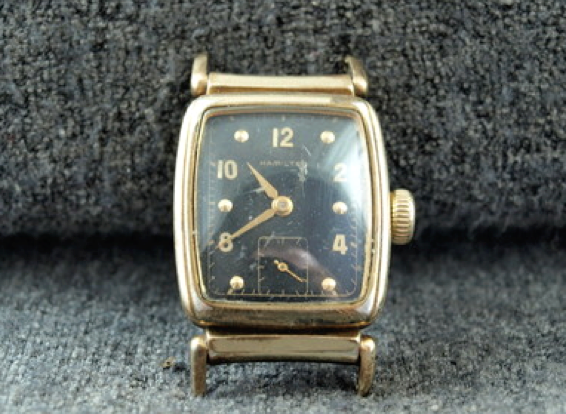 The crystal was pretty beat up but the dial underneath was actually quite nice... albeit refinished. So I decided to find a Milton case in need of some TLC. Being made for five years, finding a Milton didn't take too long. 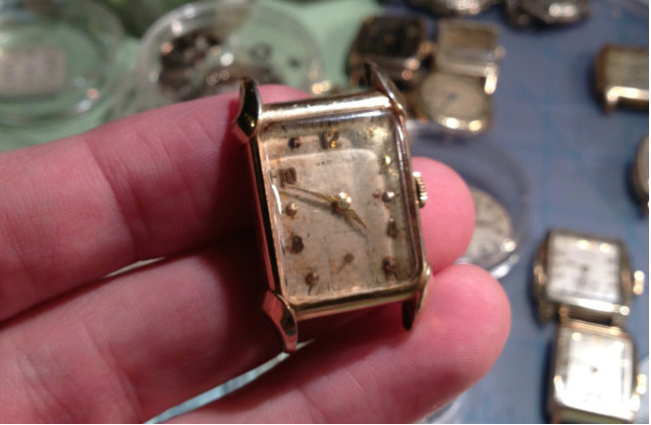 As you can see in the photo below, the watch I found definitely would benefit from some restoration. Of course, once I received it I was a little disappointed to see the case was really worn, mainly on the corners, front and back. 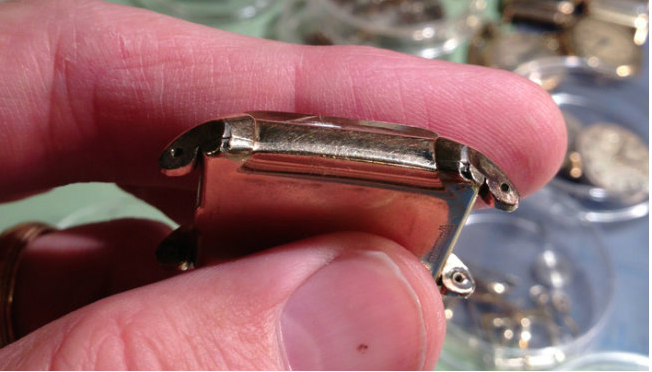 If you look in my December posts you'll see I explored fixing some gold filled cases by sending them to a talented goldsmith with a laser welder. The Whitman I restored was a total wreck but turned out surprisingly well. I also sent this Milton case. If I didn't tell you it was restored I bet you wouldn't even suspect! Check out these photos of the same watch, with the black Milton dial installed along with a fresh glass crystal. Looks great on the wrist too! Thanks for all of the great conrent! Have you ever thought of making video blogs of all of this work?